Cities that made their fortunes from manufacturing were once synonymous with the wares their workshops turned out. In Pittsburgh it was steel. Cotton was king in Manchester. Venice was famed for Murano glass. The decline of mass industry in the west has seen such activities diminished or decimated in many cities. As globalisation shifted production to lower-cost countries, industrial sites have been lost to other uses as areas are regenerated. Rents have soared, often pushing manufacturing to the edges of towns. Yet beneath this tide a counter-current is flowing. From Brooklyn to Brussels, a resurgence is taking place in urban manufacturing. “In the past it was these massive employers and huge manufacturing firms, but now we’re seeing masses of smaller manufacturing firms, often with sole proprietors or fewer than 10 employees,” says Johnny Magdaleno of the Urban Manufacturing Alliance, a US non-profit organisation. Among the wide variety of businesses starting up and thriving within cities in developed countries are micro-breweries and furniture makers, roboticists and 3D printing specialists. Manufacturing in the broad sense of making things never entirely died out in the heart of cities, with enterprises continuing to make products for locals’ needs from sandwiches to shop signs. However, a common theme that distinguishes some of the new manufacturers is not only their scale but a focus on high-quality products made in often low volumes. This reflects increased interest in artisanal goods and provenance, says Josie Warden of the Royal Society for the Encouragement of Arts, Manufactures and Commerce (RSA) in London, co­author of a report titled Cities of Making. “There’s a general feeling you can get stuff much more quickly in cities now, and that’s linked into manufacturing businesses wanting to be within a city to supply their clients in a very on-demand way,” she adds. Another draw of the city is the inspiration of working where products are used. Perhaps the most recognisable Made-in-London brand is Brompton, the maker of folding commuter bicycles. The company opened a new factory in the west of the city in 2016 after outgrowing its old one, rejecting a move elsewhere. In 1950, roughly a third of jobs in New York were in manufacturing. Today it is 2 per cent, or 71,900 jobs. The city’s flagship project in manufacturing is a $115m renovation that brings 500,000 additional square feet of industrial space to the Brooklyn Army Terminal, a former military storage facility. Owned by the city since the 1980s, it now houses about 100 businesses employing nearly 4,000. Revitalising urban industry is rising up the priorities of policymakers keen to promote well-paid and skilled jobs. Under Mayor Bill de Blasio, New York City authorities are investing in property to create affordable industrial spaces. NYCEDC runs programmes including a start-up incubator that has helped launch or support 84 hardware businesses. 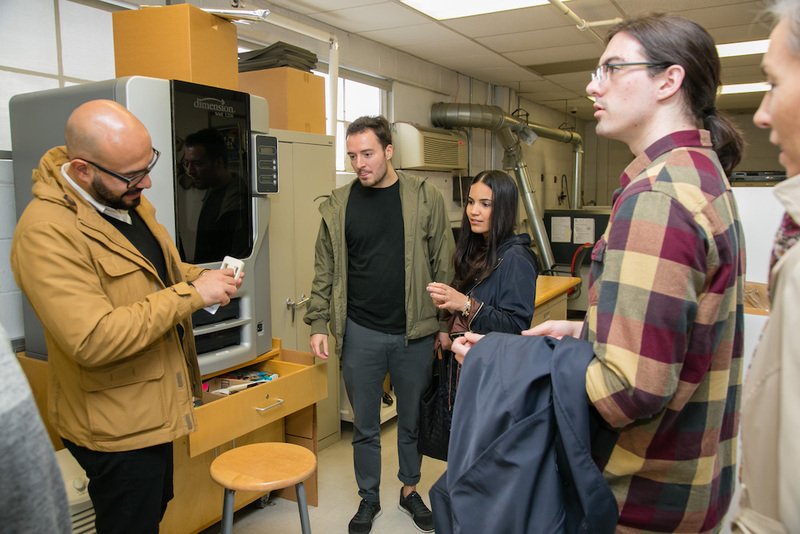 The expense of equipment can hold back manufacturing, so another project gives start-ups affordable access to fabrication workshops. 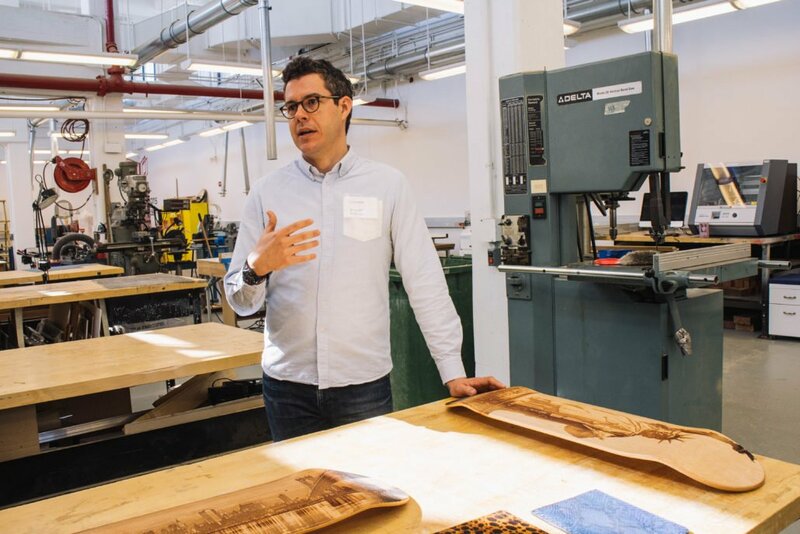 Among the successes of the New York manufacturing scene is Tri-Lox, a company that recycles wood from defunct rooftop water towers into high-end furniture, and Duro UAS, which makes underwater drones. Both have received grants from the city. Running through many of these ventures is the influence of the “maker movement”, based on DIY principles, which encompasses inventors, designers and hobbyist engineers with a passion for making things and sharing ideas. Developments in digital technologies — such as 3D printing, robotics and generative design software — also make decentralised manufacturing on a smaller scale more feasible, say experts. It would be wrong to overstate the impact that these trends have on the bigger picture of urban manufacturing. Few if any cities in developed countries are showing a significant reversal of the historic decline, though that could be partly down to the way that statistics capture economic activities. Rather, the trends suggest a change in the composition of the type of activities. There is also a danger in overemphasising exciting and technology-driven areas or brands at the expense of well-established sectors that account for the greater share of urban manufacturing, says Ms Warden of the RSA. Yet as gentrification forces up land values, the greatest problem policymakers face is the affordability and availability of space. “If cities are not going to protect industrial land, you’re going to see these people and jobs pushed further and further away from populations that they serve with their products or workforce,” says Katy Stanton, programme and membership director at the Urban Manufacturing Alliance.